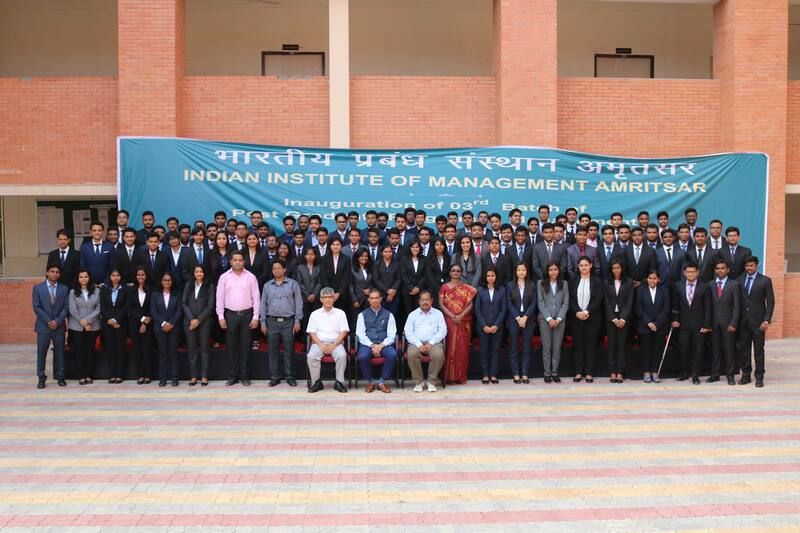 On 5th December 2016, the students of IIM Amritsar had an opportunity to interact and learn from Mr. Shajan Ninan, CEO & Founder, Kaizen Tutors, Inc (USA) and Kaizen Tutors Pvt.Ltd (India). Mr. Ninan has done his Master’s in General Management, Finance, Harvard University, Cambridge, MA, USA. He has 17 years of progressively diverse experience in investment banking, equity research, M&A, and Financial advisory business on Wall Street. Mr. Ninan started the session by explaining how to analyze a business case. He made students realize the nuances in the way a professional look at a business case, how they see the same case in different angles and not settle with one optimal solution. Mr. Ninan further explained that an ideal solution does not work the same way in the real world as discussed in a controlled environment and advised was students to have up to plan Z and not to stop with plan B. After the post high tea session, Mr. Ninan did a guest lecture on Entrepreneurial leadership and Social Entrepreneurship. The session was a highly interactive one and it embedded the spirit of Entrepreneurship in the minds of students.